Please Note: This is for the Make: Easy Electronics Component Pack only. The book is not included and is sold seperatly. 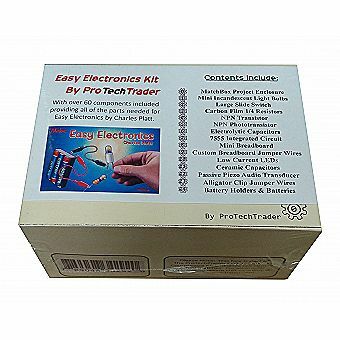 Please see our other Easy Electronics items for the paperback book as well as the Easy Electronics Kit bundle that included the Hanbook and Electronics Component Pack.